Bank of America Merrill Lynch upgraded the stock to Buy and raised the price target to $144. Package delivery giant UPS is getting a boost as it looks to improve its profitability. United Parcel Service Inc. (UPS - Get Report) rose on Monday, May 14, as the Atlanta-based company's transformation plan could lead to improved margins, according to Bank of America Merrill Lynch. "UPS plans to launch its Network Transformation plan over the coming months, a plan which could focus on improving margins throughout the organization," Bank of America Merrill Lynch analyst Ken Hoexter said in a research note. "While the drivers of the plan are likely to include ongoing automation of its facilities, its recent voluntary management retirement program, along with the overhaul of its executive management team, a detailed plan could be a turning point for UPS much in the way FedEx's (FDX - Get Report) profit improvement plan in 2013 focused the company on improving margins and rejecting non-compensatory e-commerce business," Hoexter explained. The firm upgraded its rating on UPS stock from Neutral to Buy and raised its price target by $24 to $144. An overhaul at UPS would be welcomed as margins dropped to single digits for the first time since 2010, the Bank of America Merrill Lynch analyst noted. The company last year announced plans for extensive upgrades to its Smart Global Logistics Network, enhancing capacity and efficiency through the use of information technology and automation. Chief Executive Officer David Abney told analysts during the first-quarter conference call in April that UPS has "embarked on a broad transformation of our company," with the goal to create greater efficiency throughout the back office and administrative areas as well as to align resources to new and emerging growth opportunities. The review is being led by Scott Price, a former Walmart Inc. (WMT - Get Report) executive, who was tapped to serve as UPS' Chief Strategy and Transformation Officer and will report directly to Abney. UPS' Chief Financial Officer Richard Peretz last month told TheStreet that UPS plans to host an investor conference, focusing specifically on the transformation initiative, in the coming months. "We are looking across the entire organization ... to make sure we allocate resources appropriately and taking advantage of the tremendous growth opportunities in new areas," Peretz said in April. The company has not yet set a date for the conference, said Glenn Zaccara, director of corporate media relations at UPS. Shares of UPS rose 0.8% to $116.34 on Monday. 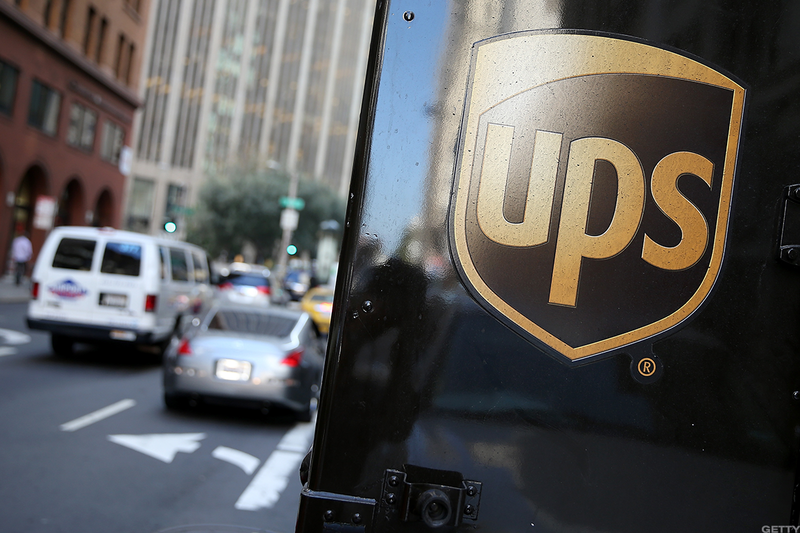 UPS stock is poised to move higher in the short run but may not reach Bank of America Merrill Lynch's price target, according to Bruce Kamich, TheStreet's in-house technical analyst. Shares could possibly "rally back to the $125 and $130 area," Kamich said. There are 10 Buy ratings, 15 Holds and two Sells, according to Bloomberg data.